If you’re looking for a fresh and entertaining conference speaker and motivational speaker who will engage your audience, pique their curiosity glands and enchant them with wisdom and humour, then read on. Karen Ross delivers her signature blend of the informative, insightful and practical. She has a lighthearted style, coupled with astute observations and solid content that makes for a great conference speaker. We all want to know more about how we work inside our minds, especially if it will make us better, faster, more successful. Karen makes sure she gives her audiences this know-how and more. Packed with examples your audience can relate to immediately, blending fascinating facts about how the mind works and peppered with humour – enjoy Karen speaking at your next conference or dinner event. Email to find out more, or call +6421403408. Hello! To get the most of out of a motivational speaker or presenter, it’s crucial you have a hand in crafting the topic and session. I will work with you to tailor a presentation to suit your audience, timeframe, location and more. Ideally we would have an initial phone conversation and then get together to more fully shape the session you’re looking for. This is something I’m known for doing well and I pride myself on it. I would love to know more about what you’d like your audience to walk away with and how you want them to feel. Plus, of course, what kind of topic you’d like me to speak on. And there are more – we can be sure to tailor something to fit your event and audience. Feel to free to touch base for an initial chat – on +6421403408 or email here. Karen has a great style, and great personality which really comes through in her speaking. She exudes confidence and competence. I really feel Karen is authentic and lives what she teaches. She’s calm and healthy and it comes through in everything she does. “Loved loved loved Karen Ross! Karen Ross was amazing, such great input. Karen Ross rocks my boat. Your two client seminars at our annual conference, The Gathering, were an ideal mix of inspiration and practical tools for business owners. We received amazing feedback. Your sessions with our internal sales team and on-one-on sessions with my staff, management and myself have enabled us to collectively and individually redefine our purpose and objectives both professionally and personally, and we are richer for having had you sprinkle your magic over us. Karen Ross is one our few preferred guest presenters and we have engaged the expert services of Karen to facilitate several sessions for our key clients. On each occasion she has provide a high quality workshop that is engaging, challenging and relevant. Karen is very thorough with her preparation and takes time to find out about her audience, their needs and learning style, and how to best package what she is delivering. Her preparation is evident throughout the seamless sessions she has delivered. “Brilliant, great exercises and fun team concepts. “A great communicator, she explained issues clearly. “Easy to listen to, interesting and kept the group focused. “I liked her open way of talking, without tiptoeing around things. “Very knowledgeable with some great ideas to implement back at work. “Interesting. I learned some new skills that I must be mindful of and will put into practice. “While there are a number of providers on the topic of Wellness, we have enjoyed the way you combine information and tips with key information on the way things affect our bodies’ processes chemically, physically and mentally. I would like to take this opportunity to provide you with some positive feedback on the series of Wellness and Peak Performance seminars you have been running over the past three months. In working with you from the first steps of putting together our programme, to shaping content and further distinct sessions, I’ve appreciated the sounding board you provide about the development solutions we are looking for. I’m sure there is a huge amount of information you’d like to provide us with that we haven’t tapped into yet, however you always are able to adapt your material into brief, informative sessions that hit the mark. Topics covered: Taking stock and setting goals for wellness, Managing Your State of Mind, Taking Control of Your Day, Health Basics, Reframing Challenges, Myth-busting Stress, Switching Off from Work and Managing Self and Others. While there are a number of providers of information about the topic of Wellness, we have enjoyed the way you combine information and tips with key information on the way things affect our bodies’ processes chemically, physically and mentally. Having this information really helps people to understand compelling reasons for making positive wellness changes to attain peak performance. And the way you challenge us to bust our thinking around stress and make us the most important part of our day! As a result, I and others walk away from the sessions feeling much more relaxed and centered – in particular after the six-minute meditation session (which people commented they’d like to continue for the whole hour)! “Karen Ross enthrals Glass Elevator guests at Resilience Strategies Evening. 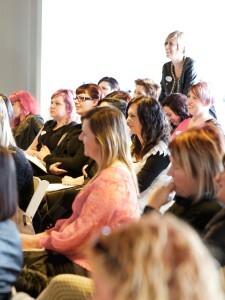 The event was a huge success and Karen proved to be a fabulous speaker who enthralled all who listened. Those who attended put themselves first and gained valuable tools to become more resilient and in control of their life, mindset, & emotions. More here. A very professional, engaging, authentic and energetic speaker. 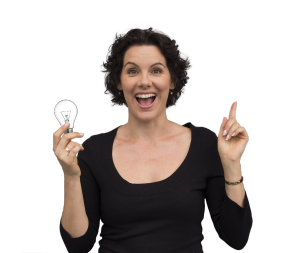 Karen is a gorgeous presenter – she’s full of life and full of energy and fun – plus so many tools to help at a very practical level. Karen Ross helps us explore how to move from a high-stress culture to a high-performance culture. 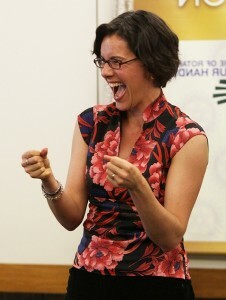 She says it’s about bringing the humane back into our human resources by helping people be their ‘whole self’ at work. 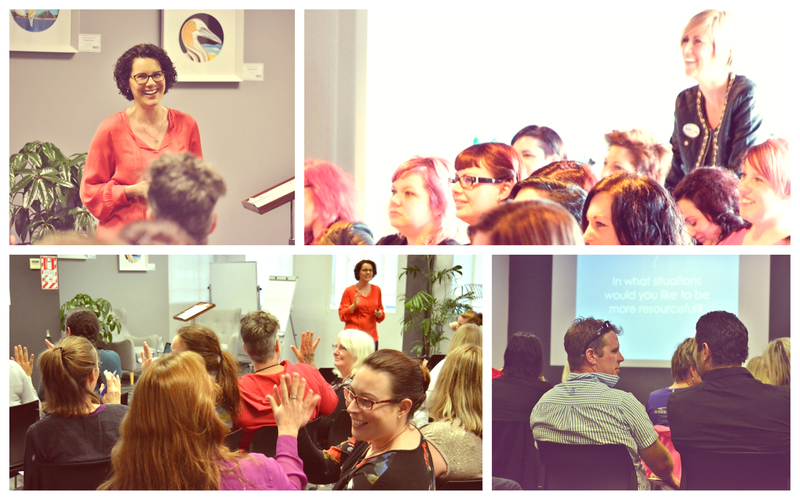 Karen comes at the topic of wellness well beyond simply looking at people’s behaviours and habits, and also from the point of view of our beliefs and perceptions about stress, wellness and how we can help people perform well. Mindfulness has become a modern phenomenon – primarily in response to the busy, often frenetic lives many of us lead. While its roots are in ancient Buddhist teachings, the essence of mindfulness as it is taught today is simple, accessible and enormously practical. It is a useful approach for enhancing our quality of life – measured not in how much we have, but in how we experience it. Karen comes at the topic of wellness and performance well beyond simply looking at people’s behaviours and habits, but also from the point of view of our beliefs and perceptions about stress and wellness. She shares some of the science of stress and why it is NOT a performance state, as well as powerful, practical tools to help you be both brilliant at work and happy in life. Life is busy (work can be manic!) and it’s easy to feel like it’s all just happening to us, or at least somewhere along the way we lost control of our time, our to-list or perhaps our sanity. Take heart – Karen Ross knows this feeling well and offers key strategies to take control back and feel like you are truly in the driver’s seat. She shares some of the science of stress and why it is NOT a performance state, as well as powerful, practical tools you can put in place immediately to take charge of stress, own your diary and be able to not only influence your own sanity, but also of those around you. Available in keynote or workshop format. Email to find out more, or call on +6421403408. Would you like a taster? Karen is a conference speaker, expert coach and trainer, working with individuals who want to raise their game in life and love what they do. 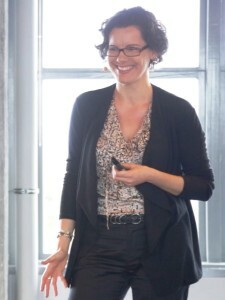 She has been working with people in business to develop, perform and succeed for over 15 years, and has coached and trained hundreds of staff and leaders in over a dozen countries, from Europe to the Pacific including KPMG International, Minter Ellison Rudd Watts, BDO New Zealand and YMCA. Karen has appeared on TVNZ One’s Breakfast, and TV3’s Campbell Live. She is also a founding trustee of the NZ Trauma Recovery Trust. Her work is essentially about Using Your Brain on Purpose. She brings a wealth of understanding and knowledge to what it takes to get out of the cycle of stress, and into the groove of thriving and enjoying life. She asks, are you running your brain, or is it running you?! BMS hons, NLP Master Practitioner,ICI Accredited Coach. Yes, please sign me up for the FREE Start Me Up Toolkit and subscribe for monthly updates, tips and tools.